One of the original critics turned filmmakers who helped jump-start the French New Wave, Jacques Rivette began shooting his debut feature in 1957. 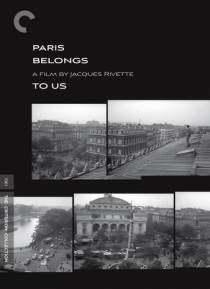 Ultimately released in 1961, the rich and mysterious Paris Belongs to Us offers some of the radical flavor that would define the movement. The film follows a young literature student who befriends the members of a loose-knit group of twenty-somethings… in Paris, united by the apparent suicide of an acquaintance.